Family Day has been set aside in February to celebrate and spend time with family and loved ones – and to break up the long stretch of winter that comes between New Years Day and Easter. There are plenty of things to do… find Toronto Family Day Activities 2012 here! If you’re in the Toronto Beaches area catch the 5th Annual Family Day Festival Monday, Feb. 20th, 2012! Brought to you by your Beach Businesses! Stop by the DJ truck and enjoy tunes for the whole family! Petting Zoo – See and learn about the amazing animals from the Bowmanville Zoo! Shadow Puppet Making Workshop Brought to you by Centuria Arts Camp Make your own Shadow Puppet and put on a show! 12:00pm and 2pm – Jack Grunsky. Come and sing along with this 3 time Juno Award winning children’s musician. The whole family will love it! 1:00pm and 3pm – Tony Molesworth Variety Show. Tony is going to entertain young and old alike with everything from juggling, magic, comedy and other hilarious surprises! Hoola Hoop/ Juggling workshop. You’ve got to try this! Learn from the pros from the Centre of Gravity Circus! Super Science is back by popular demand! See cool science demonstrations and make silly putty to take home! Family Day At St. Louis Bar & Grill – They have Cartoons, Coco and Colouring for the kids! Ontario Family Day at the Toronto Zoo. Open house at Fort York. Hockey Hall of Fame: Free admission to those 13 and under on Family Day (for up to four children with one paid adult admission). HarbourKids at Harbourfront presents SK8, which explores all forms of skating and winter culture from a kid’s perspective. Casa Loma has family programming on all weekend and Monday, Feb. 20. Requires registration and payment. Riverdale Farm is open every day, year-round and is free. The CN Tower Celebrates Family Day with Special Admission Offer. The Art Gallery of Ontario, which is usually closed Mondays will open Monday, February 20, 2012 and offer special programming aimed at families. The PawsWay Pet Discovery Centre at the Harbourfront includes the Purina Hall of Fame, dog shows, skating, bouncy tent, crafts, ice castle painting, live music and more. Free admission. Family Movement Workshops with the National Ballet of Canada: February 20, free, but requires registration. Free outdoor skating at Toronto’s City Hall and Harbourfront Centre complete with music and rink-side hot chocolate. Family Day Fest at Downsview Park: An indoor amusement park features rides geared to children between two and 12 years old. Toronto Kids-Fest: Held in the International Centre Hall 3, it features Canada’s largest indoor inflatable playground. Although admission is free, it costs $25 for wristbands for the inflatables. It runs throughout the entire long weekend. 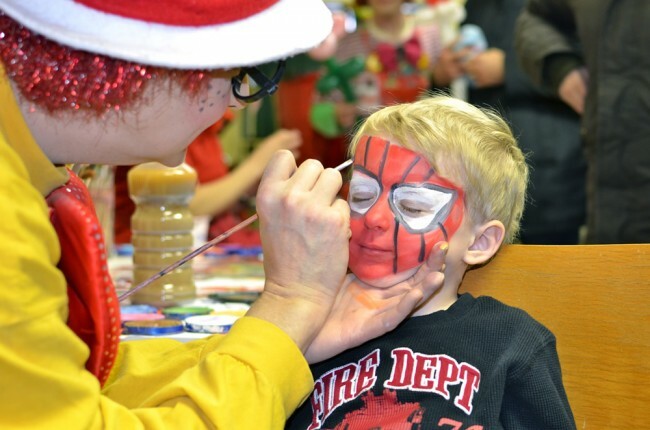 The Markham Museum Winterfest has winter activities and refreshments. Family Day Fest, with locations in Niagara Falls and Toronto, is an indoor “fun zone” geared towards children under 12. The annual event features rides, bouncy castles, obstacle courses, arcade games, games and other entertainment. DuffleBag Theatre: Children are invited to participate as one of the story’s characters in an interactive version of Peter Pan both Saturday and Sunday. Family Week at the Sony Centre: Adults who purchase a full price ticket to certain Sony Centre shows on stage between March and May will receive a child’s ticket for free. However, the tickets must be purchased during Family Week, February 19-27. Attempt to break the Guinness World Records for the largest gathering of people dressed as garden gnomes. Click here for more information. National Home Show: Held at the Direct Energy Centre, Exhibition Place, February 18-27. Canadian International Autoshow: Held at the Metro Convention Centre, February 18-27. Swimming… Ten City-run indoor pools are open between 2-5 pm. Regular admission fees apply: child $1, adult $2 and family $5. Family Fun Fair at Rogers Centre has the ultimate solution to keep the kids busy and entertained! Visit Rogers Centre for the Family Fun Fair presented by Today’s Parent, to enjoy a day filled with thrilling rides, carnival games, and more for all to enjoy! All Day Ride Passes are available for $20. Other deals include saving 25 per cent with tickets for this and March Break’s Spring Fling for $30. All LCBO and Beer Stores will be closed on Monday, so you better re-stock your supplies of Louis XIII cognac before then. All public libraries and banks will also be shut on Monday, so if for some reason you’re going to need massive piles of money or books on Family Day, stock up before then. Most businesses, Queen’s Park, the Toronto Stock Exchange and Toronto City Hall will also shut their doors for the holiday. The TTC will be operating on its regular holiday schedule, and Go Transit will be running on its Saturday schedule. Movie theaters will be open for business, so you can go see that new movie with that person in it. The Eaton Centre, Pacific Mall, and Woodbine Shopping Centre will be open, but most other malls will be closed. Why not learn things—for fun? The ROM, the AGO, and the Ontario Science Centrewill all be open. All city-run outdoor skating rinks will be open, and there will be scheduled times for leisure skating. Have more ideas let us know below?